ROME — A group of South Korean businessmen and journalists from the country's major newspapers and magazines made an observation tour of Italian food industries April 11-18, 2007. Organized by Buonitalia, the Italian company established by the Ministry for Agricultural Food and Forestry Policies, the educational tour is aimed at having a closer look at Italian food industries that produce such famous Italian food as pasta, tomatoes, and cheese. The Korean delegation of 17 business executives and journalists inspected how Italian wines, cheeses, and tomato are produced in the southern Italian region including Salerno and suburban areas of Rome. 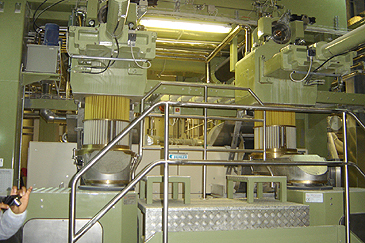 They visited a number of vineyards and tomato and pasta factories. The South Korean delegates also met with the business leaders including members of Salerno Chamber of Commerce during their eight-day stay in Italy. 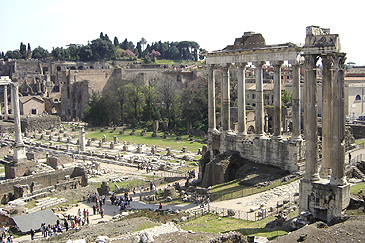 On April 14, 2007 the Korean delegation attended "Cibus 2007 Roma" where hundreds of local Italian food producers and manufacturers participated to highlight and promote quality Italian food products. Some Korean businessmen expressed their wish to sign a contract with the local businesses on the scene. During their stay in Italy the Korean journalists and business delegation had chances to visit places like Rome, Naples, and other areas where leading Italian food industrial establishments are located. 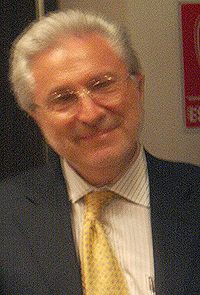 The whole trip was led by Mr. Manfredi Minutelli, chief of Buonitalia's public affairs division. 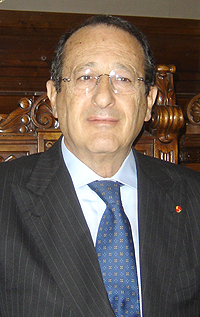 Headed by President Emilio de Piazza, Buonitalia also deals with the promotion, valorization and internationalization of the quality Italian food industry throughout the world. The recent free trade agreement between South Korea and the U.S. could help uncork one of the hottest markets in an expanding Asian frontier: quality foodstuffs and wine. 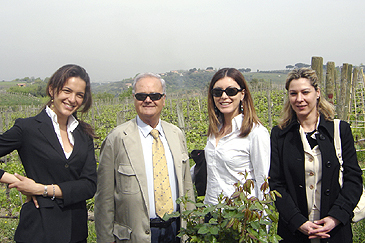 Ms. Valentina Melillo (second from right) of Eprcomunicazione poses with Ms. Eleonora Sgaravatti (left), a local wine producer Mr. Giulio Santarelli(second from left), and Ms. Arianna Moscardi of ARSIAL. South Korea plans to start free trade agreement (FTA) talks with the European Union (EU) members as early as next month with the goal of striking an accord by 2008. Days after Korea concluded its free trade talks with the U.S. on April. 2, 2007 Seoul officials began to stress the necessity of signing pact with EU member countries. Unlike the South Korea-U.S. free trade agreement, there is no time limit in the coming Korea-EU FTA talks. Effects from the removal of tariff barriers will be relatively high given the average tariff imposed on Korean products by EU members reaches 4.2 percent compared with about 3 percent by the U.S.
President Emilio de Piazza of Buonitalia met with Korean businessmen and journalists. The education tour for Korean journalists and business delegates came following the reports that Italian food products and wine exporters were interested in tapping into the South Korean market when French wines clearly dominate the market. South Korea is set to become sooner or later the leading import market for wine and food products in East Asia and Italy must continue to play a fundamental role with an aggressive marketing and promotional efforts, market watchers in Seoul said. As of now, Japan is undoubtedly the most important market in Asia in terms of size and quality levels for Italian labels. It was apparently a "win-win" game for both South Korea and Chile when the two nations signed a free trade agreement (FTA) three years ago. A report released by the Korea International Trade Association (KITA) showed that both countries have enjoyed climbing market shares in each other's country ever since the two lifted tariff barriers for key goods. Prior to the bilateral trade pact in April 2004, Korea's market share in Chile stood at 3 percent. But it grew by 1.7 percentage points to 4.7 percent last year, surpassing Japan to become the fifth largest national exporter to Chile. Before the Korea-Chile FTA, Korea ranked 8th behind Japan by 0.6 percentage points. Market share of Chilean products in South Korea jumped from 0.6 percent in 2003 to 1.2 percent in 2006. Its ranking leapfrogged to 17th last year from 28th. Korea's Chilean imports have grown over 25 percent year-on-year since the trade agreement. 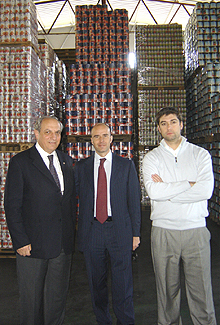 Mr. Manfredi Minutelli (center), chief of Buonitalia's public affairs division, poses with Mr. Enzo Patierno (right), Buonitalia's researcher, and Dr. Luigi Salvati, president of Salvati Mario & CSPA, a local tomato producer. Above all, Chilean wine is gaining rising fame, rivaling the dominant French wine in the Korean market. "Italian food industries, notably wineries, should learn a lesson from South Korea-Chile FTA agreement," said a market watcher. Wines are filling more and more glasses on dinner tables in South Korea than ever before, increasing the demand for foreign labels notably French ones and creating new markets of opportunity for foreign wine exporters. There are several reasons for increased demand for foreign wines. South Korea's minuscule wine production continues to decrease because of the high costs of maintaining local vineyards. In fact, much of the domestically bottled and labeled wine is actually imported bulk wine. This small percentage of Korean wine is unable to compete with that of other major wine-producing nations on the international market. Recent news reports by the Korean media touting the possible health benefits of red wine have helped fuel a tremendous surge in demand for imported red wine. In addition, higher Korean incomes, the increasing popularity of wine products among consumers and a Westernization of lifestyles, especially among professionals, have resulted in double-digit increases in Korean wine consumption. All of these factors make it difficult for Korean importers to keep supplies of red wine in stock at local stores and restaurants. 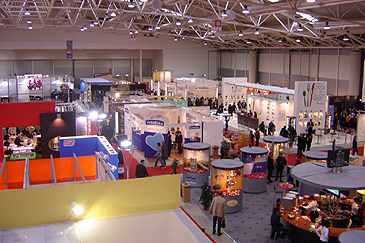 With the expanding reputation of and demand for Italian foods and wine in Korea, Italian suppliers can help themselves by participating in wine tasting, food shows, and, most importantly, by establishing personal contacts with South Korean news media, business establishments and consumers through stepped up promotions, they said. Perceptions are changing; Italian food brands are in better position to beat French wines and foods if and when effective branding efforts are being made for pasta, tomatoes, and cheese. 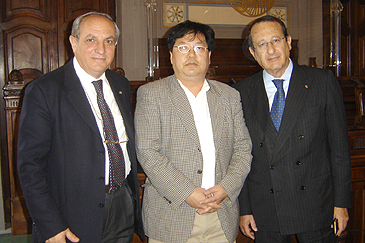 Dr. Augusto Strianese (right), president of Salerno Chamber of Commerce, poses with Dr. Luigi Salvati (left), president of Salvati Mario & CSPA, a local tomato producer, and Mr. Joseph Joh of The Seoul Times. Pasta sauce and pasta are quite popular among South Korean housewives and more recently Italian cheeses experienced significant gains due in part to increased demand for natural and gourmet varieties. If Italian suppliers can capitalize on the current health and wellness trend in Korea, they can position the health and nutritional benefits of their products.